This is the developer guide for the Support SDK v1 for iOS. For Support SDK v2, see Support SDK v2 iOS. 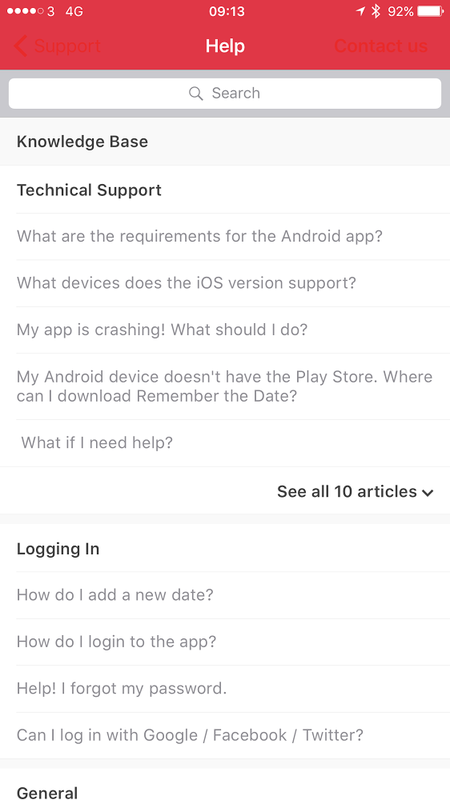 The Support SDK makes it possible for you to quickly add your Help Center to your app, allow your customers to create or update requests in Zendesk Support, and promote positive app store reviews. The Support SDK comes with its own user interface (UI), or you can build your own. These pages are aimed at developers, to help them get started and implement these features in your app. If you are getting started, please read everything on the pages that start with [Must do] in the left navigation. You really do need to do them. The Support SDK GitHub repo is here. Watch the getting started video. Our quick start tutorial is here. Check out other tutorials and learning resources in the Zendesk Help Center. Ask questions and share ideas in the Zendesk SDKs community. The quickest way to install the Support SDK is using Fabric. To get started, visit the Fabric website. We provide a user interface (UI) with the Support SDK for all of these features, and you can see that in the sceenshots above. This user interface allows some customization options, like changing colors or fonts, and is suitable for most use cases. Our own Remember The Date app is a good example of our UI being used. We also allow you to use the functionality of the Support SDK without a UI. This allows you to build your own. This takes a little more development time, but gives you more control. Find out about API providers, on top of which you can build your own UI. 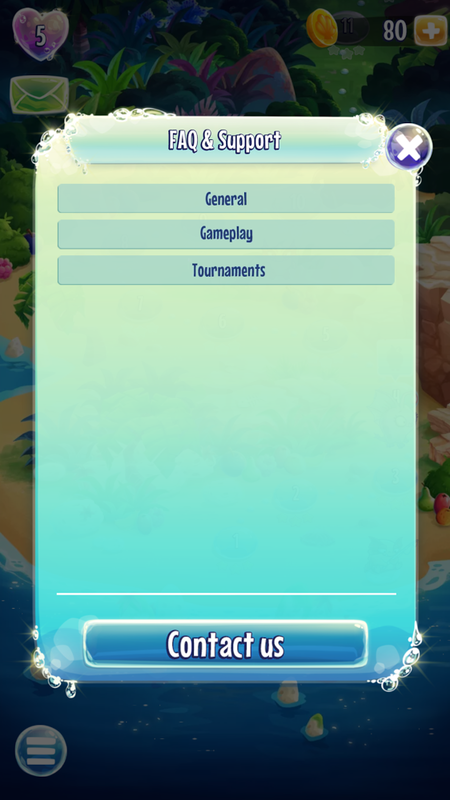 Nibblers, by Rovio is a good example of a bespoke UI being used. Our very own Zendesk Support app has a bespoke UI for its feedback form. Ensure that you have clear goals, and that they are widely discussed and agreed (eg. "I would like to reduce the number of requests we receive"). The Zendesk Support SDK integration checklist is a good place to start. Agree the features you will use to achieve the goal (eg. "We will use Help Center as our self-service option"). Follow the instructions on all pages that have [Must do] in the title, in order. Follow the instructions on all the pages that relate to the features you have chosen. Anonymous This is one of two identity types that the Support SDK supports. This can be a user with no information associated with them, or a user with some identifying information (eg. name and email). The user is treated as untrusted by Zendesk Support. API An "Application Programming Interface" allows you to access and use Zendesk Support features in your own code. For example, you could use an API to create a new request (ticket). 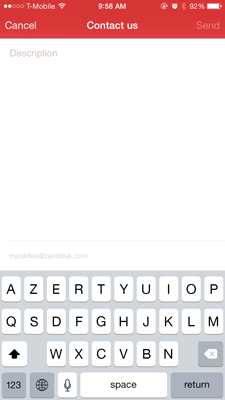 Find out more about Zendesk APIs here. API provider Similar to an API, but as part of the Support SDK. You can only use these features if you have the SDK installed. JWT This is one of two identity types that the Support SDK supports, and stands for "JSON Web Token". This is an end-user that has been authenticated against your own identity management service, using a JSON Web Token. These kinds of end-user are treated as trusted by Zendesk Support. Request This is the same as a ticket, and the two terms can be used interchangeably. These are the messages that end-users send to you and appear in Zendesk Support. SDK Software Development Kits (SDKs) are tools that can be used by developers to build software more easily. UI A "User Interface" provides the visual elements of your app, with which end-users interact. For example, a button.